promoting the advancement of cyber and technology in Huntsville and the Tennessee Valley. The organization is made up of industry, government and academic institutions, leveraging Huntsville’s technical expertise and leadership to help with local, regional, and national cyber challenges. 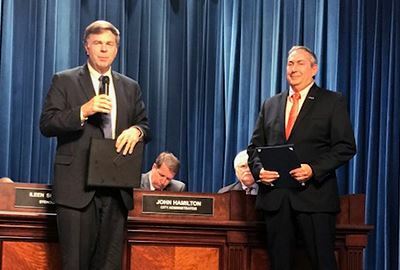 In August of 2010, Huntsville Mayor Tommy Battle, formally announced the start of the Cyber Huntsville initiative, and since that time we have been creating cyber progress for the Tennessee Valley. Cyber Huntsville has co-sponsored two cyber security summits, established economic development roundtables, and created cyber curriculum and summer camps for local city and county school systems. Our sustaining members are vital to our long-term financial stability, and provide tremendous insight and guidance benefiting our initiatives. A sustaining member is the highest level of membership within Cyber Huntsville and includes, 10 free individual memberships, access to cyber opportunities, and networking opportunities exclusive to sustaining members.